The software, designed specifically for large-scale projects – converts multi-step bookings into a single streamlined process. This includes flights, ground transportation and accommodations. Anyone who's ever worked in a fly-in/fly-out oil or mining camp knows that the logistics of getting from home to work and back can be a challenge. The trip often involves a combination of flights and ground transportation, multiple boarding passes, and of course, the usual vagaries of travel including weather and mechanical delays. Then there is the potential for problems at the camp, such as room reservations, menu glitches, and even issues with housekeeping. While managing large-scale camps in remote locations seems like a straightforward and manageable task, in reality the job involves balancing complex components across various systems, including: matching charter flights with commercial schedules; accommodation availability; compliance risks; itinerary risks; and ensuring duty of care. After spending 20 years working in remote locations, Gemstone Logistics CEO and president Tom McHale recognized the challenges resource companies faced in attracting and retaining qualified workers, and also understood the strains workers felt being away from family and friends for weeks at a time. In 2005, while working as an aviation manager, McHale pioneered the first successful cross-Canada fly-in/fly-out program for a major oil company. He went on to found Gemstone in 2007, providing air transportation services for large-scale resource and construction projects. Over the years, Gemstone recognized a need across major industrial projects to integrate fragmented site services. 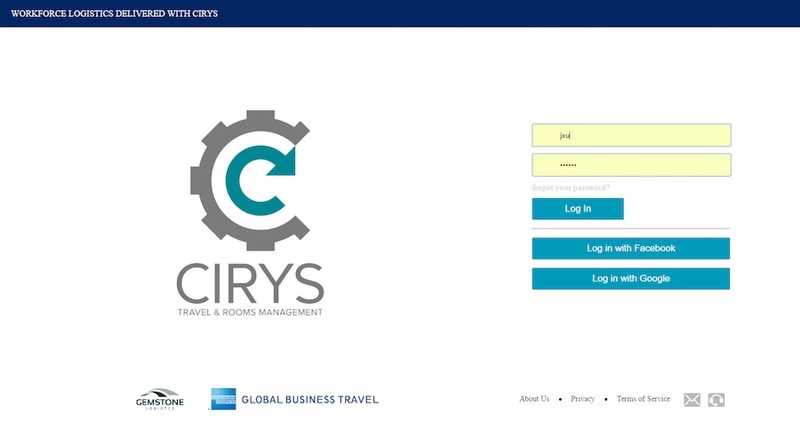 Its proprietary software CIRYS has successfully transformed travel management processes among many major oil companies – saving clients millions of dollars along the way. In early 2015, Gemstone acquired Orissa Software Inc., including CampWare, software tailored to the front desk, housekeeping, food services and guest management needs of workforce accommodation facilities. Yet despite these powerful software tools, Gemstone Logistics sought a way to even further integrate its transportation and accommodation services for remote camps. The solution was to partner with American Express Global Business Travel. The company is independent from American Express Company, but the U.S. multinational has a 50-percent interest in American Express GBT. 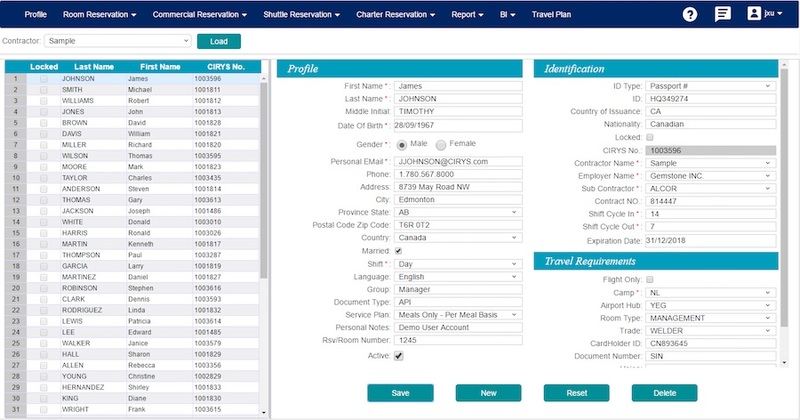 Launched in 2016, the partnership, dubbed a “complete travel management solution,” saw “Gemstone’s proprietary travel and accommodation management software, CIRYS, integrated with GBT’s booking and servicing solutions, providing optimum manpower planning capabilities, an end-to-end view of every traveller’s journey and seamless travel management,” according to a press release. McHale said the problem up to recently with transportation and accommodation at remote camps has been the disconnect between booking systems. The software, designed specifically for large-scale projects – oil and gas, mining and construction – converts multi-step bookings into a single streamlined process. This includes flights, ground transportation and accommodations. Travel coordinators see a complete view of the traveller's journey, from the time they get on the plane until they unpack their bags at camp. Travellers have constant access to their itineraries through a mobile app. Benefits for the owners include real-time tracking of all travellers, eliminating inefficiencies and keeping costs down. Jacinthe Ladouceur, vice president & general manager, American Express GBT, said the partnership dovetails nicely with GBT's EXPERT CARE solution, a web-based platform that makes it easy to track travellers and communicate with them in case of a travel disruption or emergency. For camp owners, having an integrated transportation and accommodations system can reap major cost savings. McHale estimates the savings on one project could easily be $10 million a year – due to better camp and transportation optimization. Efficiencies in room bookings are another way for camps to save money, for example not allowing workers to book an extra night at the end of their rotation, thus freeing up a room. “If you have a 2,000-room camp, and you can squeeze out 1 percent more efficiency, that translates to about $2 million a year in annual savings,” says Ross Purdie, Gemstone's VP, corporate development & finance. “The whole operation can be seen in one dashboard. So from a logistics perspective, the challenges have been greatly diminished for the camp operators. And you know, it runs like a well-oiled machine,” adds McHale. “It's a place where not a lot of people looked for savings before. They said, 'Oh, let's just get it done.' And then they'd pull things together at the last minute, hire an airline, hire a busing company just to get this thing going, and they'd muddle through it somehow,” says McHale.